The general election is finally over! Many people looked forward to May 5 for different reasons; some think that it will be the day when the opposition takes over the government, some see it as the day they find out if their efforts have paid off in winning the people's support after five years. For me, I look forward to be as the end of the whole fiasco wtf. Weeks and weeks of slogging off is finally over. We worked at least 20 hours on polling day. 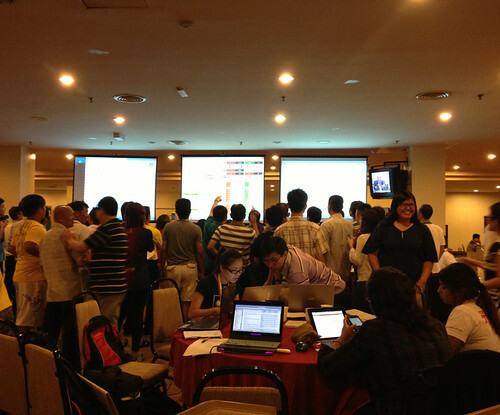 Since 7am until as late as 4.30am the next morning waiting for the results to be announced. It is also the day when I voted for the first time. Ask me a few days before polling day, I did not think that it was possible for me to vote this time round (because my address is still in Melaka and I didn't see how I could travel back to vote and rush back to JB to work on the same day). But my boss told me two days before May 5 that I should go back to Melaka the night before and vote early next morning. I was like "for real? 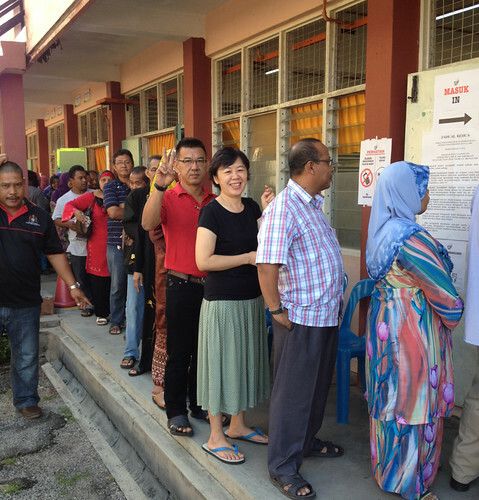 Then I have to rush to JB for polling??" then he said that he'll make an exception and stationed me to cover Muar, which is just an hour away from my hometown. So nice right my boss, thanks boss wtf. So, early in the morning I got up to get ready for voting and work (I couldn't sleep much anyways cos was too excited to vote for the first time lol). Among the first ones to queue up outside the polling centre, waiting for the gates to open. Parents waiting for their turns to vote. FYI, dad was gesturing "the 2-party system", not the peace sign wtf. Took a chance and asked if I could snap a photo of them painting on the indelible ink. I did. I voted! My heart was pounding as I entered the voting centre, lol. Then together with my parents, we went to Muar to cover the polling situation there and after getting my interviews and typed my stories on my phone, we headed back to JB and reached in the afternoon. Quickly showered and changed for the evening and rushed to the office for a quick dinner that the office catered. 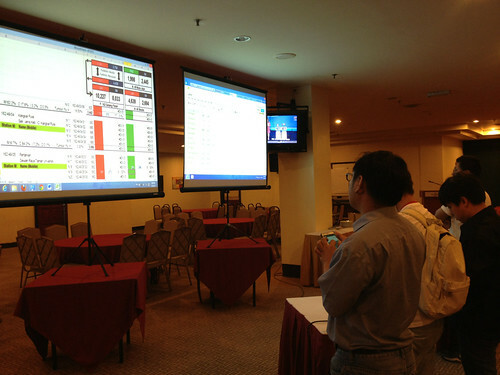 Then off I went to the DAP media information centre where unofficial results were pouring in on three projector screens. It was like a stock exchange where everyone's eyes darted intently on each screen and typed on their phones/spoke into their phones/scribbled notes on their books. As the night beckons, more and more supporters began pouring in and gave cheers as their candidates led the polls. All in all, it was an exciting/tiring/educational/emotional/stressful process, this general election. I didn't think I was prepared or ready to cover it but thanks to colleagues' and boss's guidance, I pulled through. We were a young team of journalists in our office but we managed to make it out alive! I'm so proud of my office mates, and a little happy for myself because it's all over. Now it's all follow ups and stuff but the crazy period we waited for almost a year, is finally done and dusted. My first GE. My first time voting. Can't wait for my week-long off day next week! I really need to kick back and relax after weeks of lack of sleep and stressful deadlines.